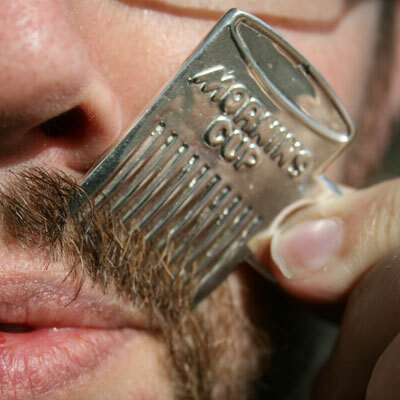 A Necklace Comb For Your Stache | OhGizmo! Are you a guy that has spent a good deal of time growing out your perfectly shaped mustache? I prefer to just keep it to a gotee, which is pretty easy to manage. However, if you like to keep your facial hair looking perfect, you probably keep a special comb around just for that purpose. Why not just get a special necklace comb just for your stache? Honestly, I can’t picture many people that would actually wear such a necklace. First off, it’s ugly, and second, why would you wear a comb on a necklace? Oh, and did I mention that it will set you back $120? It’s only sterling silver for crying out loud!